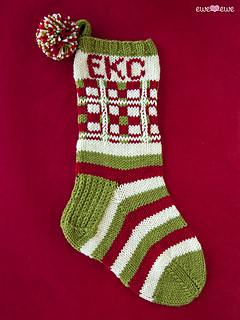 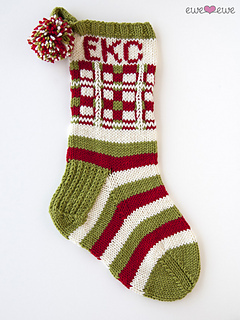 This quirky, quick-knit Christmas stocking will have you dashing right along to grandmother’s house. 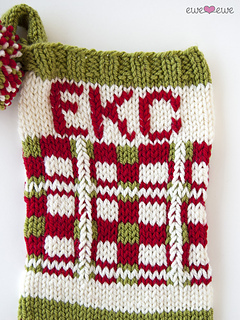 Add a name or just initials to personalize this adorable striped and plaid stocking. 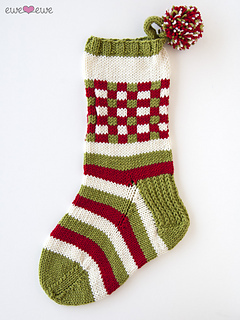 A little vintage and a little Cindy Lou Who make this stocking to last a lifetime! 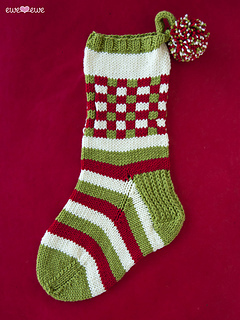 Gauge: 14 sts to 4” in stockinette stitch.